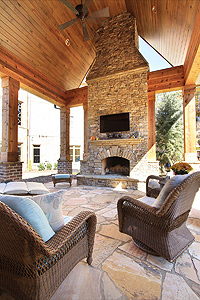 Building A New Home Or Remodeling Your Current Home, Alex Custom Homes' Statement Is "You Dream It, We Build It"! Alex Custom Homes says "You Dream It, We Build It". This statement applies to building a new home or remodeling part of your current home. A new kitchen or a new home, we are the builder for you.Visit our website, alexcustomhomes.com, to see our new home plans and examples of our remodeling projects.